Blog 19: Crashing through Central America. Blog 16: Mexico’s Baja California Peninsular. After leaving San Fran, Los Angeles was the next major stop but not before a nights camp in Big Sur. We’d heard rumors of there being some decent off road tracks around this region so we spoke to everybody we could trying to plan the best route for the following day. Everybody had hyped up the South Coast Ridge Trail and promised it would offer 38 miles of off road action with mountain views on one side and the Big Sur coast line on the other. After turning off Highway 1 on to the trail we were sliding the back ends out on the loose gravel gravel surface whilst climbing in altitude. Our tyres were pretty shot by this time so handling the bikes on the dusty surface proved a little trickier than normal adding to the excitement. Within minutes, as standard, we found ourselves racing each other up to the first pass. You may remember Junior Skipper for his performance at the Koran BBQ a couple of months ago in Seoul. Well, he was back in the U.S. awaiting the start of his next semester at Uni and we thought it was only fair for us to give him a second chance in selecting the restaurant for that evening. Well, he certainly lived up to his reputation and had us walking the streets of Hollywood for close to an hour trying to locate a damn hot dog store. Bearing in mind there are hot dog vendors every 10 meters on Hollywood Boulevard, once finally arriving at ‘Pinks’ hot dog store, we couldn’t contain our disappointment when we realised it was quite literally just a hot dog stall, identical to the countless other fast food joints we passed on route. He’d done it again! Despite it being an absolute pleasure having him back on board, without any haste, Junior Skipper was stripped of his title with immediate effect. Unfortunately the drinking age restrictions in the U.S. prevented Matt from coming out to a bar that evening so we headed off to meet some other backpackers from the hostel in a bar called ‘Rainbow’. Given it’s name I started to question whether the lads from the hostel had got the wrong end of the stick and had invited us to a gay bar but it turned out to be a local hang out for the celebrities of Hollywood. My lack of celebrity knowledge preventing me from recognising the stars everybody was pointing out however, the one Jon and I did recognise was Ron Jeremy propping up the bar. Inspired by the big man himself, Brookbanks didn’t waste any time and after a couple of Cuba Libres took the opportunity to work on the other, not so famous punters. Although we still had a few days to kill before our meeting with Suzuki, Hollywood’s tourist scene and fierce heat all got too much us after a couple of days so we headed further south to Venice for some beach time. Wearing motorcycle gear generally keeps us out of the sun so you can picture the scene when two pasty English men who have spent the previous few weeks eating burgers and fried food strip down to a pair of board shorts on the infamous muscle beach. The ladies couldn’t keep away. It was nice to have a few days off the bikes and offered an opportunity to meet up with Victoria, the girl I mentioned in the previous blog. Whilst in Venice, we were also lucky enough to meet up with a chap called Mike Praise, the author of the excellent series of guide books, The Surfers Guide. Mike’s experience of riding the Baja California peninsular made him the perfect aid in assisting us to plan the best route down the Mexican peninsular. On day 156, 20th September we were packed up and ready to head over to Brea, for our visit to the Suzuki H.Q. We didn’t know what really expect from our meeting with the guys there but within minutes the cameras were rolling and the probing questions were extracting tales from our trip to date. The clip below offers a closer look at the modifications we made to the bikes. 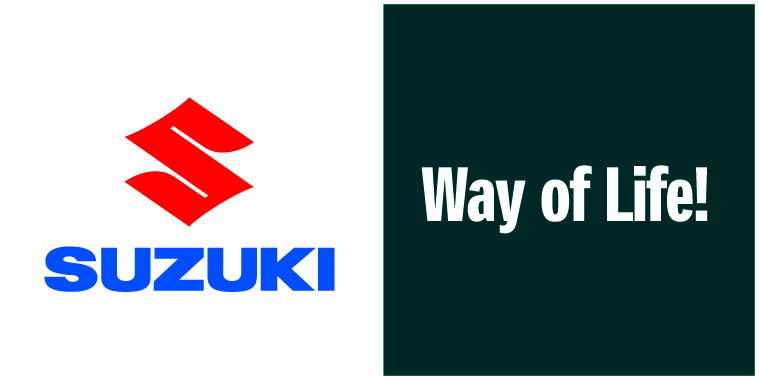 We both felt genuinely privileged to have been invited to the Suzuki H.Q. and the guys took care of us well by insisting we joined them for lunch. We were fed like kings whilst sharing our experiences over the course of a couple of hours. We’d been lucky enough to use the Suzuki H.Q. as an address to have new tyres, Mefo Explorers, shipped to so that afternoon we continued south along the coast to Oceanside where we had arranged to stop in to visit the guys at the Just Gas Tanks office. Typically we’ve fitted tyres ourselves throughout this trip but for a change we weren’t out in the middle of nowhere so we decided to treat ourselves and get some assistance from someone with more adequate equipment. As we stood there chatting to the mechanic, out walked the owner of the shop, English Tony. Unbelievably we had stumbled across a workshop run by a guy originally from no more than a few miles from where we live in London. Another stroke of Tough Miles good fortune. Hearing his accent made us feel right at home and once he’d heard our story he insisted we stopped in with him overnight. Tony is a straight up wheeler dealer geezer. He’s a no bull s*** kind of guy and we knew he genuinely meant it when he offered up a trailer camper he was selling in his shops forecourt as a base for the night. Incredible hospitality. We all went out that evening for a decent session on the sauce. Here is Tony and Fred testing out a Harley. The following day, we stopped in to meet the guys at Just Gas Tanks, the U.S. distributor of the Safari 28 liter fuel tank we’ve been using on this trip. Core Racing, the U.K. distributor of the tanks proved an awesome knowledge-base for us during the preparation stage of this trip so we were keen to stop in and meet their American equivalent. The tanks have been critical to date and have held up seriously well despite the bikes being dropped off road on numerous occasions. It was excellent to meet the guys there and take a look around the shop. On return to English Tony’s place, his hospitality had another little treat in store for us. He had a couple of Harley’s lined up for us to have a ride on. Neither of us had ever ridden a Harley before so it was an exciting moment for both of us. After saying our good byes to everybody at English Tony’s place, we headed slightly further south to camp up in a place called Chula Vista. After all the horror stories we had heard about this border crossing, we wanted to be as close to the Mexico border as we possibly could be to allow us to cross at first light. Please keep the Cancer Research donations coming guys. We’re slowly getting there. Click here if you are able to help. Glad to see youse guys got thru Kal-E-4n-Yu without mishap. Luved the vid at Suz HQ. I’ve had a 400-S and will probably get another when opportunity presents. Making my contribution to your charity now. And ordering some shirts too. Off to Thailand and Cambodia in January and will present shirts to some of my companions.